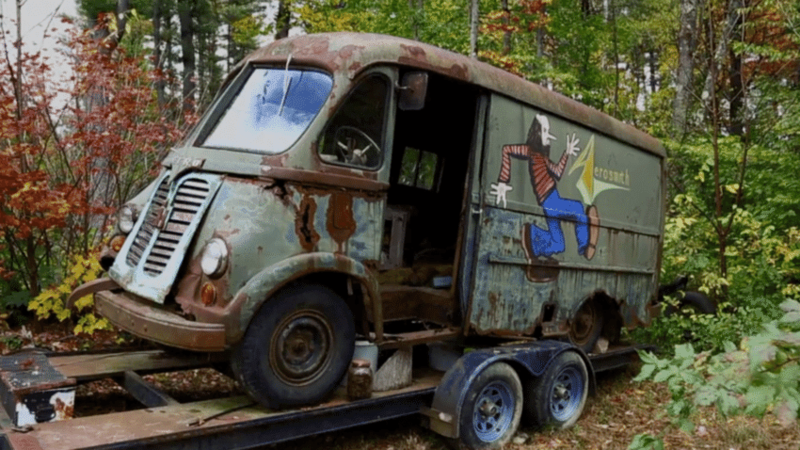 The original van used by Aerosmith on tour in the 1970s has been found in the Massachusetts woods by the hosts of The History Channel series American Pickers. Boston.com reports a recent episode saw show hosts Mike Wolfe and Frank Fritz track down the rusted, 1964 International Harvester Metro van in Chesterfield, MA, about 110 miles west of Boston. The property’s owner, identified only as Phil, said the previous owner had a connection to the band and the vehicle was there when he bought the land. The van’s authenticity and history was confirmed in the American Pickers episode by Aerosmith founding member and guitarist Ray Tabano, who was in the group from 1970 -71 before being replaced by Brad Whitford. The Boston rockers are scheduled to perform on NBC-TV's Today Show on Wednesday, August 15.